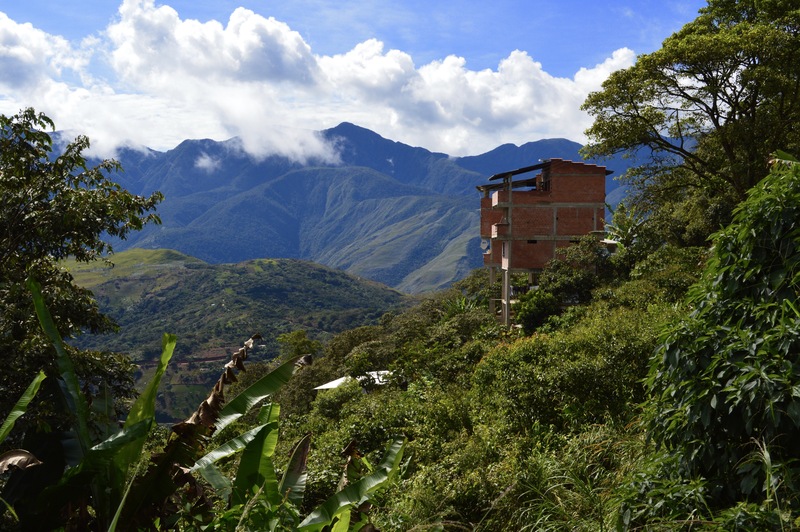 Whilst traveling in Bolivia we had heard a few people mention the small hill top town, Coroico. They described this place as prehistoric and Jurassic Park-like. We were surprised to learn that Coroico sat at an altitude of 1,600 m. This ment that temperatures would be warmer and we could wear shorts! 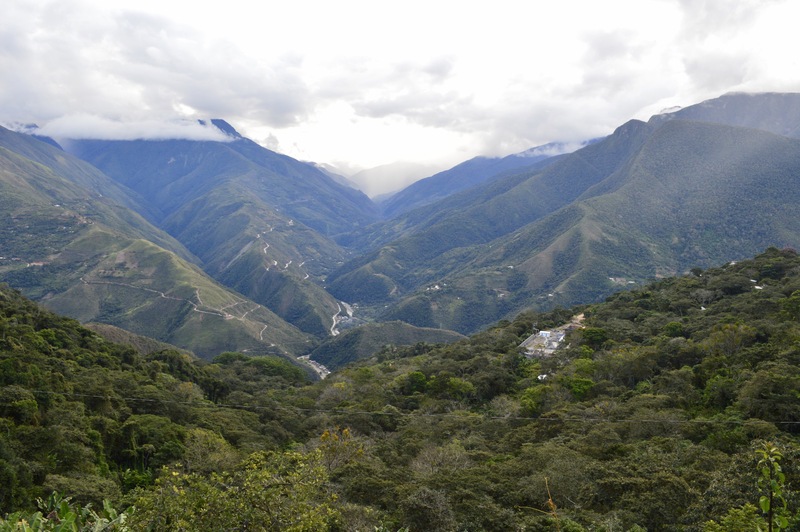 So we decided to venture into the mountains surrounding La Paz and see what everyone was talking about. 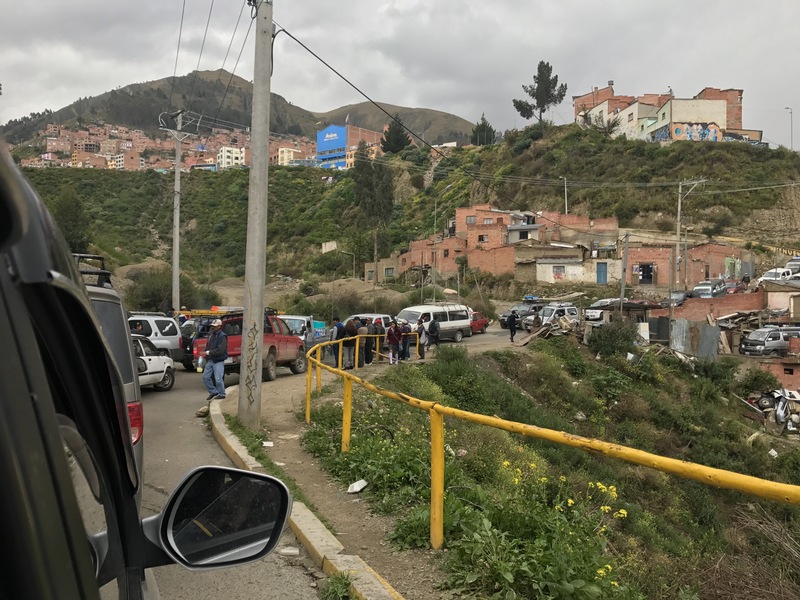 We went to Minasa Terminal de Buses in La Paz to find two options, the minibus (takes 15 people) or the minivan (takes 6 people). The cost between the two varies by R20 (USD 1.5) so we decided to take the more expensive minivan as the time was shorter to reach our destination. This was a mistake! On our way out of La Paz the locals had blocked the three roads going to Coroico. We weren’t sure as to what their reason was but this delayed our trip by 45 minutes. When we finally left La Paz, we were at an altitude of 4,500 m. The mountains were covered in snow and it had started to rain. Our driver had his windscreen wipers set to the lowest setting and did not have his headlights on. I could see nothing in front of us. To make matters worse, the entire trip was along a cliff. I was sitting at the window closest to the cliff and this made the experience even more terrifying. I looked at my phone for 99 % of the trip and must have gone through about 2000 songs just so that I did not have to look out off the window. Our driver was also driving faster than I thought necessary and was on the wrong side of the road when going around corners. The road I drive home to Pringle Bay is similar, and sometimes I do the same as I know the road really well. So I decided to put my faith in the driver and pray that we would arrive safely. When I did glimpse out off the window the views were beautiful. The view changed dramatically from snow covered mountains to peaks of the mountain sticking out of the clouds to beautiful valleys. I have never been so thankful to reach my final destination as I was after this three hour journey. Locals blocking the road to Coroico. The windy, wet, snowy road. 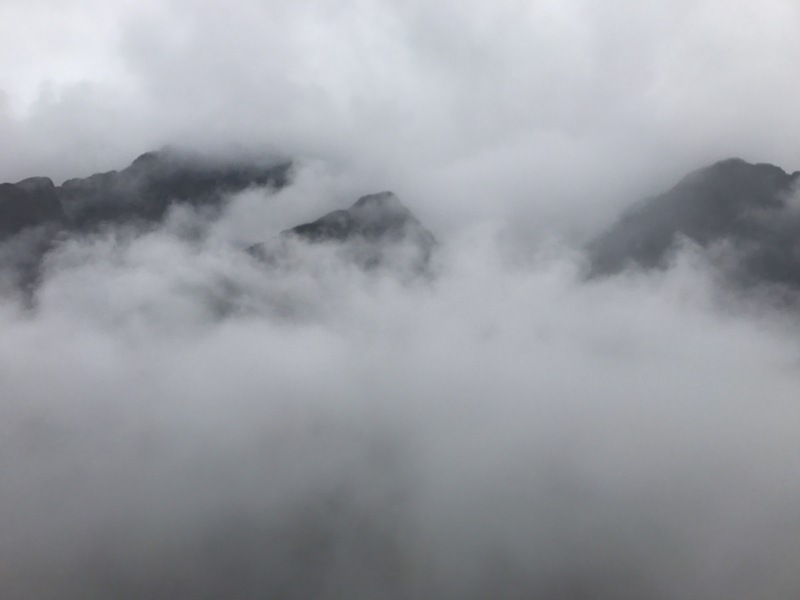 Our altitude was so high in the pass, sometimes the were right in the clouds. We came out of the last tunnel to find this beautiful view. I was so excited that the weather had cleared up. We stayed at a place called Chawi Hostel. When we arrived at our accomodation, we were still frazzled from the drive, but Charlie, the hostel owner, made us feel at peace. He showed us around the hostel amd told us what we could do in Coroico. The views from the hostel were unbelievable! The view from the accomodation overlooked a huge valley. This valley was beautiful to watch as it would catch clouds and then constantly release them. We couldn’t believe that we were fortunate enough to stay in such a beautiful place. The view from Chawi Hostel’s breakfast room. The view from the terrace where we had many beers whilst admiring the view. 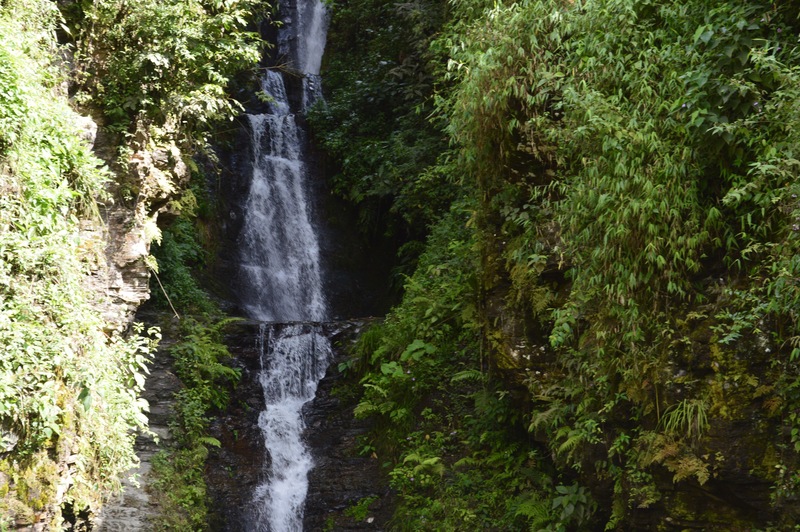 On our first day, we did a 10 km walk to three waterfalls. The walk took us past three small villages: Cruz Loma, Cochuma and San Jacinto. These villages didn’t have much going on besides their friendly locals and a few small shops. After 7 km we reached our first waterfall. This waterfall was on the road and small. 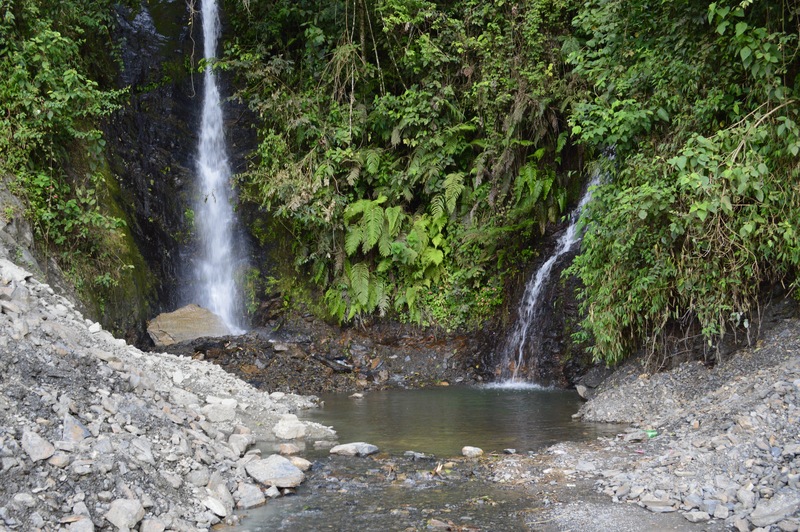 The second waterfall was at the 8.5 km mark. This waterfall had a man made pool at the bottom of it, were for R10 (USD 0.8) you could swim. None of us had brought our swimming costumes with so we carried on to the third waterfall. The third waterfall was by far the most beautiful. It was big and had a lovely natural pool at the bottom of it. 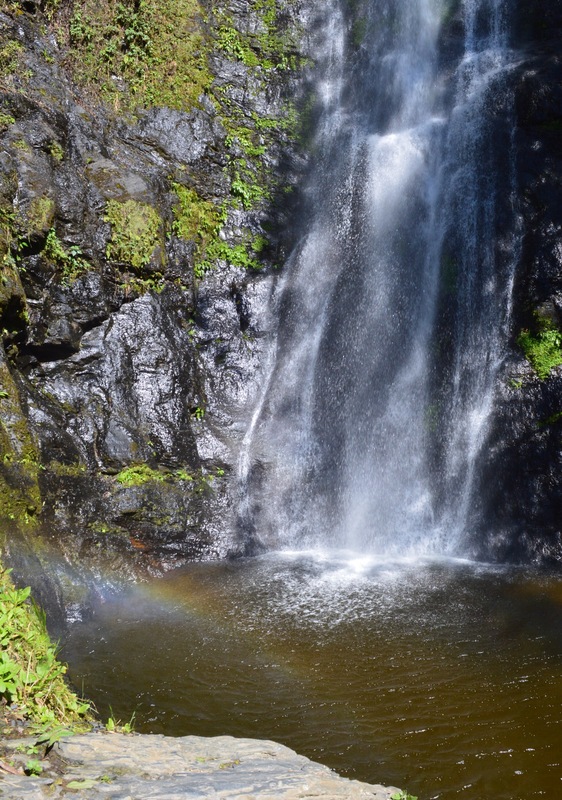 We watched a rainbow in the waterfall for a while until we continued to a viewpoint. We rested at this viewpoint before we caught a taxi back to Coroico. This walk was easy as we were simply walking on a flat dirt road. However saying that, the views from the road were incredible! We could see views of the valley the whole way and the waterfalls were fun to look at. Just a few minutes out of town and we already had beautiful views like this. Although the walk to the waterfalls was on the road, it was still aesthetically pleasing. Waterfall number 1 was on the actual road. Waterfall number 2 was slightly off the road and had a man made pool, for which you had to pay to swim in. Waterfall number 3 was by far the most impressive. It was big, beautiful and had rainbows in its natural pool. Courtney, me and Kelly at the viewpoint close to waterfall number 3. 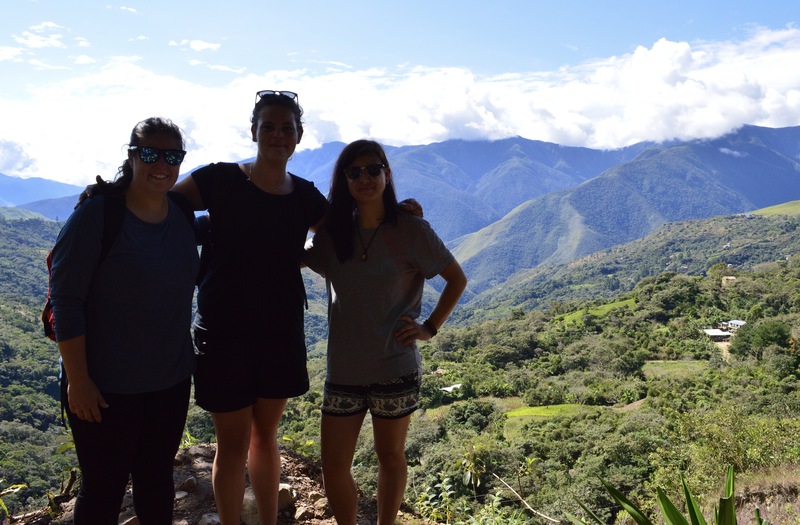 On the second day, Courtney and our fellow traveler Kelly decided to stay at the hostel and relax. 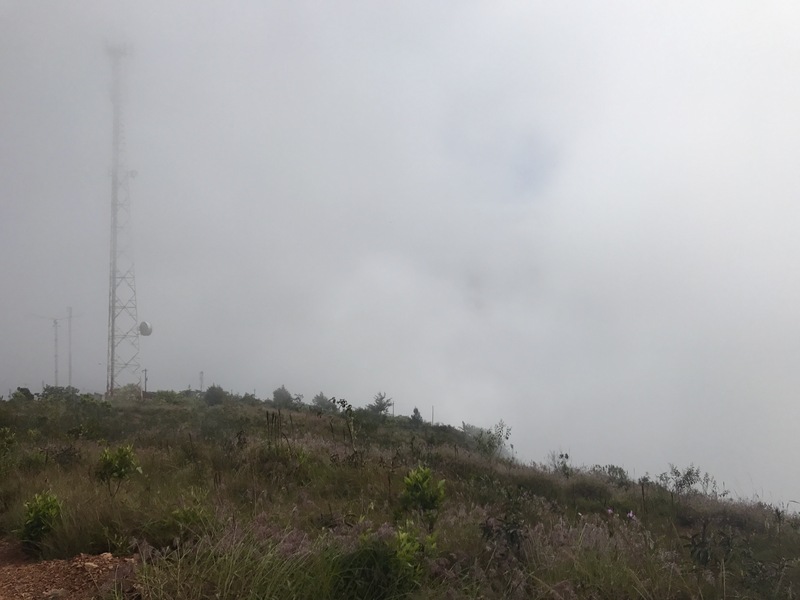 I decided to hike to the peak of Cerro Uchumaci to see the panoramic views of the valley below Coroico. When I started the hike the views were beautiful. I could see the snow on the mountains behind the valley for the first time. But the mist and clouds started to creep in. As I was in no rush to finish the hike I decided to wait for the clouds to disappear. After about an hour I continued to hike to the top of the mountain. The clouds went and came so at times I could see nothing and at times I could see stunning views. Excluding my hour wait, the hike took me three hours to reach the top and two hours to return to town. This was a 12 km hike, and the peak was at an altitude of 2,500 m.
The view when I started my hike. The clouds made way for me to have a view half way up the mountain. This was the first time in my stay in Coroico that I could see the snow capped mountains. The view from the top of the mountain was magnificent. 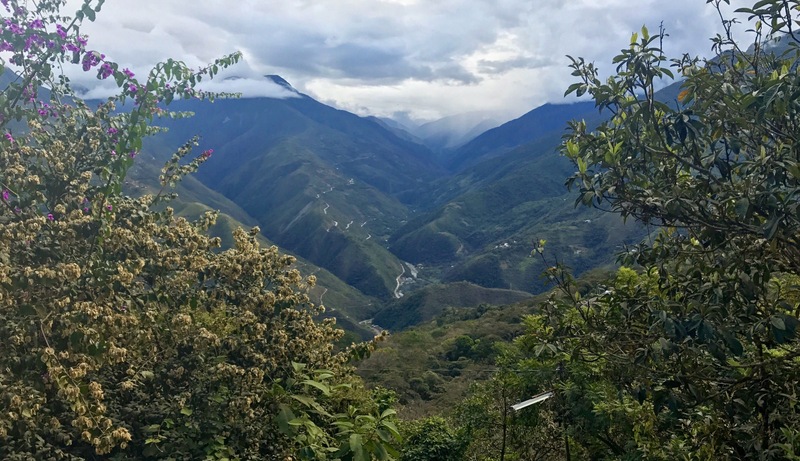 Coroico is not only famous for its nature, but also because the road that used to connect La Paz and Coroico was the notorious Yungas Road. In 1995, this road was deemed the most dangerous road in the world. 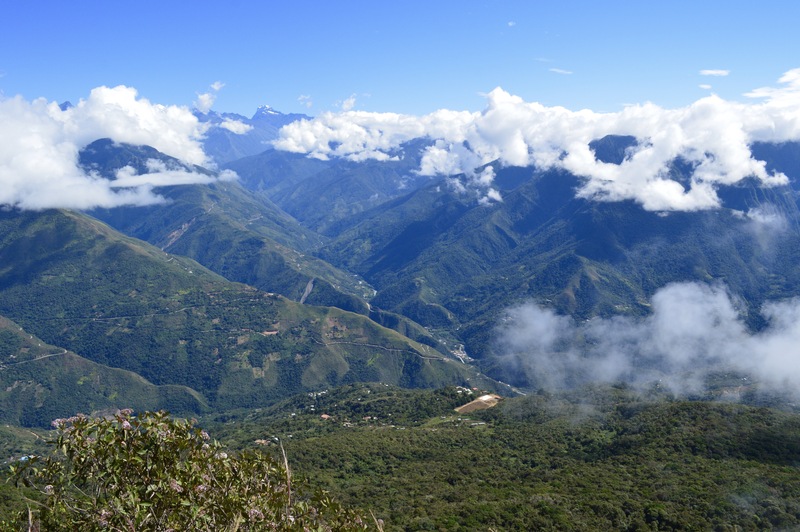 Yungas Road is more commonly referred to by tourists as Death Road. 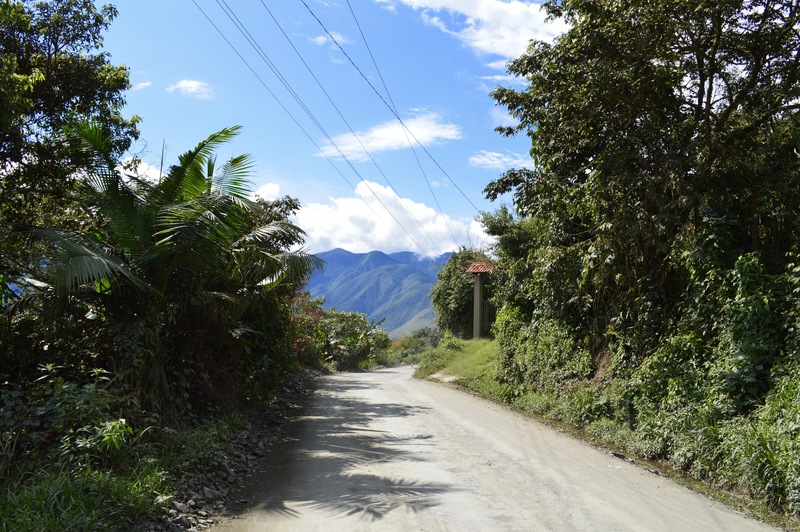 A new road has subsequently been built to connect La Paz and Coroico and therefore Death Road is not used by vehicles anymore. 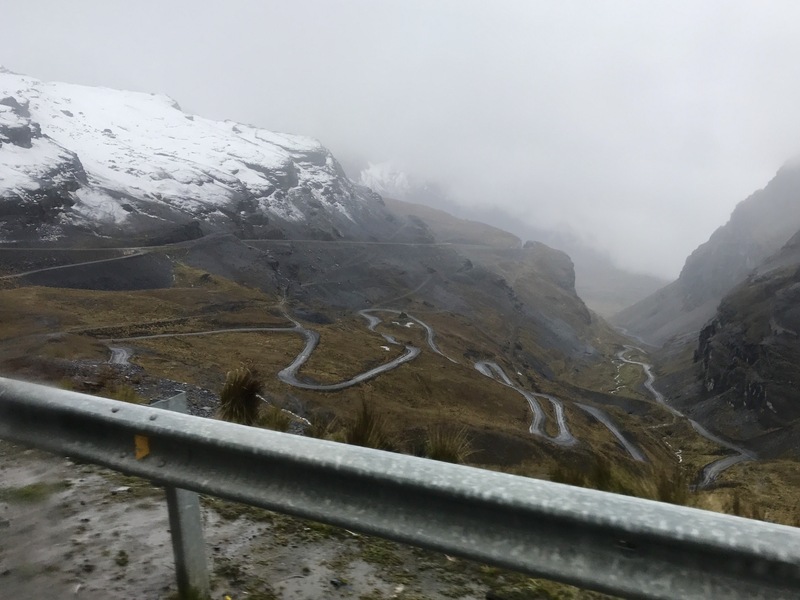 Death Road has become a famous tourist attraction amongst thrill seekers as now you can mountain bike down the 64 km road with numerous different tour company’s (at your own risk). Since 1998, there have been 18 deaths reported for cyclists along this road. 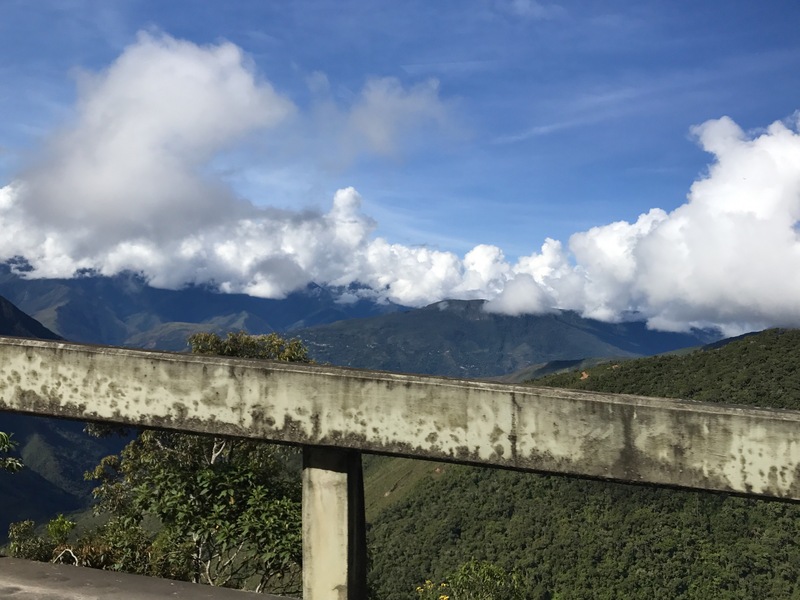 This activity did not appeal to me and even though the drive to Coroico was terrifying, I would still chose that over cycling down Death Road. 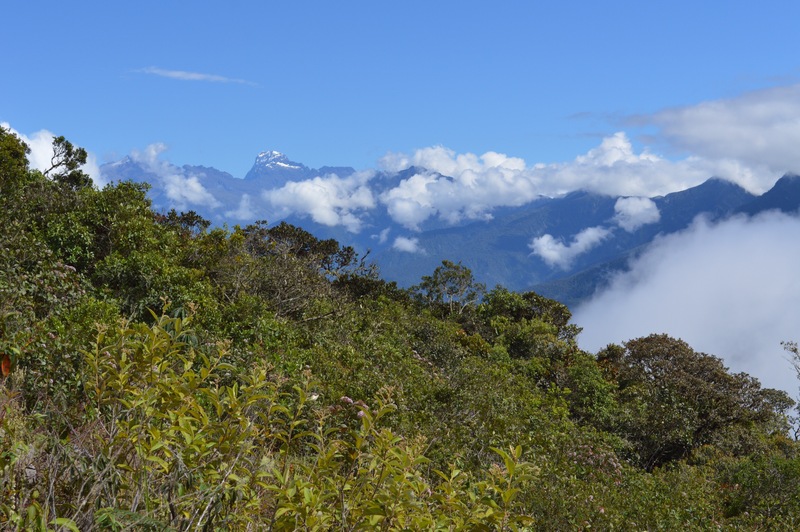 Coroico was an awesome place to recharge our batteries, hike and enjoy some of Bolivias beautiful nature. I have never stayed in a town with such beautiful views! 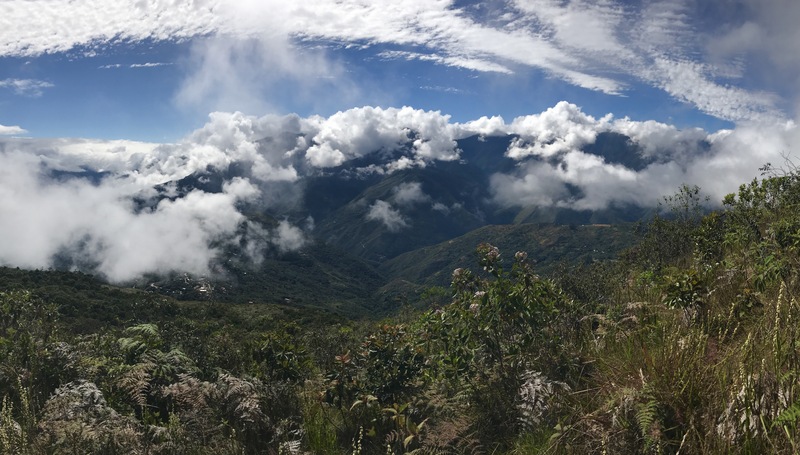 The mountains surrounding Coroico were breathtaking and if you have some extra time in Bolivia, make sure to visit this town!